All of our lives changed on April 1, 2017. During the last week of March, our son, little Ethan (age 5), was complaining about a tummy ache accompanied by a fever. We thought it was strep, or a stomach bug. The pediatric clinic ran a urine test and the results sent them immediately to Phoenix Children's Hospital ER, where multiple tests were run to rule out a kidney infection or appendicitis. The scan of his kidneys revealed a tumor. Ethan was quickly admitted to the Oncology unit for more tests and body scans. 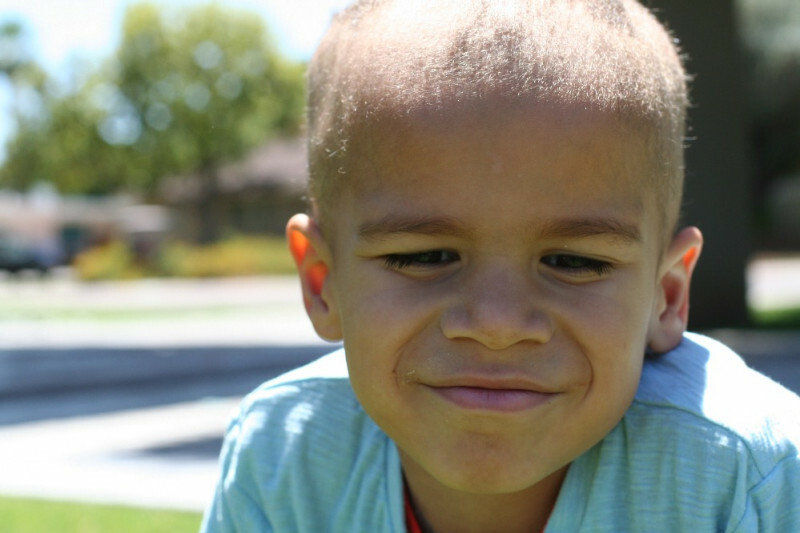 Little Ethan was diagnosed with Stage IV metastatic neuroblastoma. The cancer was in his kidney, lungs, neck, spine, bone marrow, hips, and intenstines, and is also pushing on his main aortic artery. Little Ethan’s treatment plan is the most aggressive and rare- of any pediatric cancer, affecting only 1 in 100,000 kids a year in the US. His treatment will include: 6 rounds of extremely high dose chemo (first round started Friday April 7th), surgery, double stem cell transplants, radiation then 4-6 months of immunotherapy. All in, about 18 months. A scary, stressful and uncertain journey lies ahead for Ethan and those who love him. Chances of survival are not good. Maybe 30%-50%. Supplements – Holistic medicine, vitamins, calcium, etc. Ethan loves Star wars, legos, animals, science, swimming, tennis, climbing trees! Ethan loves life. He has an insatiable curiosity, and wit. And his sweet demeanor and compassion is noticed by all who cross his path. You are a miracle Ethan, and you will continue to defy the odds. You are love, life, laughter. We are fighting with you. The force is with you. Hi Ethan and family, You don't know me, but I read about your story on Maya Thompson's blog. I know it's a small donation, but I hope it somehow does make a difference. I will be keeping you in my thoughts. Stay strong. Much love from Belgium. Beautiful Ethan, I don't know you but I love you. You are a strong boy, stronger than any super hero. We are here for you, you are not alone. God Bless you and your family baby!